HA NOI (VNS) — Ha Noi authorities fined the owner of a building in Cau Giay District's Yen Hoa Ward VND80 million (US$3,500) for illegally constructing extra floors and a pool on the roof. 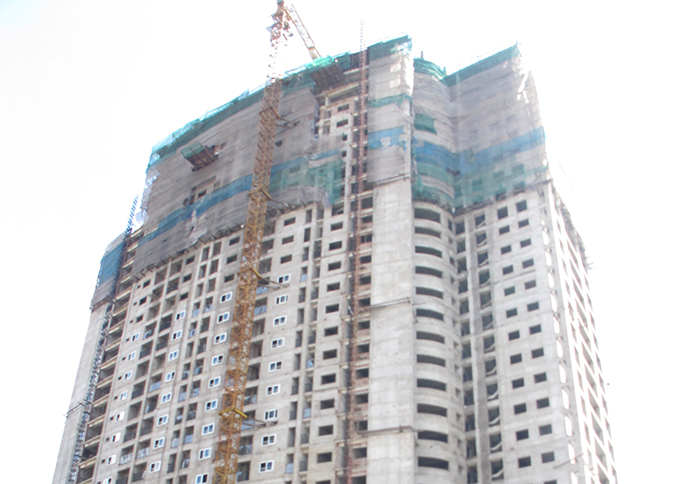 Inspectors from the city's Department of Construction said that the building, owned by Thang Long Co., Ltd, got an approval to construct 27 floors in October 2011. However, in March, an inspection by the Department of Planning and Architecture revealed that the building increased around 590 square metres (sq.m) on its floors, 49sq.m on its technical floors and 8sq.m on its roof. Tran Viet Ha, deputy chairman of Cau Giay District, said that the construction of the building had not followed the approved design. The construction at present consisted of two basements, 27 storeys, a mezzanine floor, a roof floor and a technical floor. This made up 30 storeys.